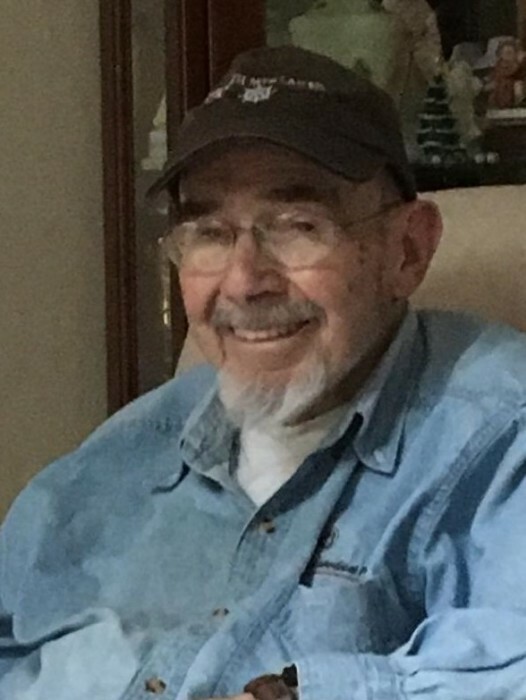 Normand G. Higgins, age 88, of Auburn and formerly of Garrett passed away on Tuesday, August 7, 2018 at his Auburn home with his family by his side. He was born in Auburn on November 11, 1929 to Walter and Helen (Long) Higgins. He was a 1947 graduate of Garrett High School. Mr. Higgins proudly served his country in the United States Army. He worked in counter-intelligence in Virginia during the Korean War. He married his first wife Marjorie Zoll on February 4, 1951. She preceded him in death on March 9, 1978. He married Suzi (Hovarter) Relue in Auburn on February 29, 1980. She resides in Auburn. Mr. Higgins worked for Kitchen Quip in Waterloo and the Auburn Foundry before going to work for Stanadyne in Garrett for years retiring in 1989. He was a member of the Garrett American Legion Post 178 where he also served on their honor guard. He was also a member of the Garrett Knights of Columbus 1790 and he was an active member of the Garrett Alumni. Mr. Higgins enjoyed dancing and being active, he always had to be doing something to keep himself busy. His wife; Suzi Higgins of Auburn. Son and daughter-in-law; James and Janet Higgins of Waterloo. Daughter; Jeanette Cleland of Hamilton. Daughter and son-in-law; Marcia and Jerry Kessler of Auburn. Daughter and son-in-law; Sharon and Randy DeLong of Garrett. Step son; David Relue of Fort Wayne. Step daughter and son-in-law; Kristine and Greg Ramey of Fort Wayne. Step daughter and son-in-law; Kimberly Relue and Joe Hurley of Moneta, Virginia. Step daughter and son-in-law; Jill and C. J. Lay of Garrett. 11 grandchildren and their spouses; Sean and Mandi Cleland, Joe and Steph Cleland, Stacey Owens, James Higgins, Mark and Linda Higgins, Larry and Danielle Yarian, Matthew and Cassandra Yarian, Brandon and Joy DeLong, Benjamin DeLong and Jen Miller, Vanessa and Nathan Slone and Sola Moore. 13 step grandchildren and their spouses; Mary Kate and Anthony Burke, Liz and Jake Slone, Sarah Lay, Savannah Lay, Rachael Lay, William Lay, Andy Villagomez, Crystal and Hector Ramirez, Michael Relue, Estrella Relue, Max McGinnis, Nick Ramey and Sam Ramey. 19 great grandchildren and 5 step great grandchildren. Brother and sister-in-law; Royce and Mary Higgins of Garrett. Sister-in-law and brother-in-law; Cynthia and Leonard Steward of Garrett. Brother-in-law and sister-in-law; Lee Roy and Johnna Nadolny of Arcola, Illinois. He was preceded in death by his parents, step mother; Vera Higgins, his first wife; Marjorie Higgins, one daughter; Anita Williams and 2 grandchildren; Daniel Cleland and Paul Williams. Visitation will be held on Friday, August 10, 2018 from 2:00 to 4:00 and 6:00 to 8:00 PM at the Feller and Clark Funeral Home, 1860 South Center Street in Auburn. A Rosary will be held at 3:30 PM. A Mass of Christian Burial will be held on Saturday, August 11, 2018 at 11:00 AM at the St. Joseph Catholic Church, 300 West Houston Street in Garrett. Military Honors will be provided by the Garrett American Legion Post 178 and active members of the United States Army. Officiating the funeral mass will be Father James Shafer. Memorial donations may be directed to Garrett American Legion Post 178, 515 West Fifth Avenue, Garrett, Indiana 46738 or St. Joseph Catholic School, 301 West Houston Street, Garrett, Indiana 46738.